The legendary filmmaker receives first nomination ever. First? Really? 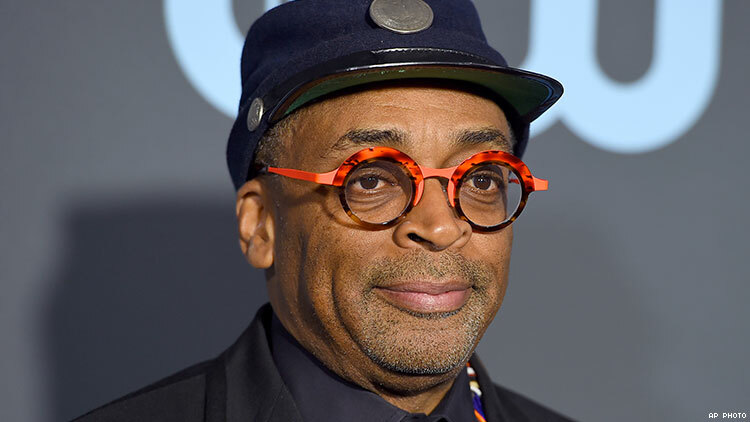 Filmmaker, producer, actor, and activist Spike Lee has finally been nominated for an Oscar for directing 2018 film BlackKklansman; the film earned six Oscar nominations overall. After nearly three decades of a cinematographic legacy, Spike Lee is up for best picture and director. The news comes as Lee’s original screenplay Do the Right Thing will celebrate its 30th anniversary this summer. Less acclaimed, but certainly celebrated classic films include: Jungle Fever (1991), Crooklyn (1994), and Mo’ Better Blues (1990). She’s Gotta Have It was adapted for small screen in 2017. “After what happened with Do the Right Thing, I just had to let it go and just be at peace with knowing that the great work is going to outlast awards,” Lee told Variety's “Playback” podcast in October. Do the Right Thing was notoriously passed over in a number of categories, including best picture, where Driving Miss Daisy reigned. According to Variety, Lee is the sixth Black filmmaker to be Oscar-nominated for directing, after John Singleton (Boyz N the Hood), Lee Daniels (Precious), Steve McQueen (12 Years a Slave), Barry Jenkins (Moonlight), and Jordan Peele (Get Out). Lee is also the 11th Black producer to be nominated for best picture, and the first Black writer to be nominated a second time for screenplay. No Black filmmaker has ever won best director.